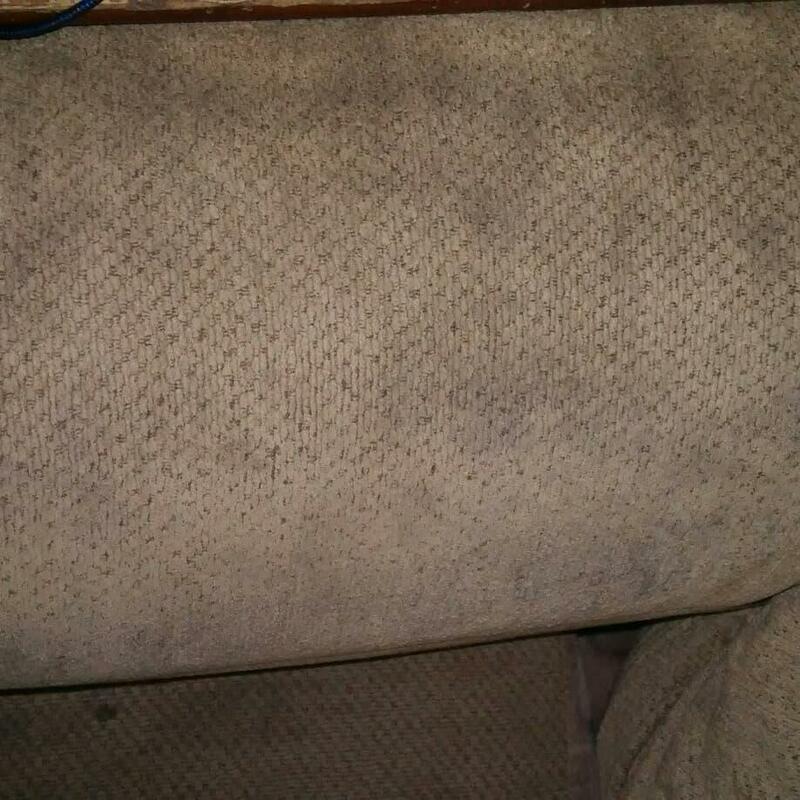 Being a mom of two boys, and two fur babies I can't even begin to tell you how often I am taking out my carpet cleaner, or down on my hands and knees cleaning up messes after someone. I always have such a problem finding a cleaner that cleans, and smells decent. I need it to be safe for kids, and pets. 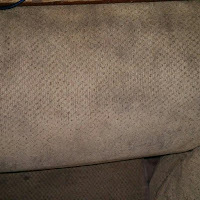 All of the cleaners I have found to date, have a super strong chemical smell that work. Or they smell good and don't work at all. With my oldest son's lung issues I hate using anything that is super chemical filled. So, when I heard about Fizzion I was a bit skeptical. My dog is a heavy chewer, and some times it messes with his stomach. So he will end up puking up something gross in the middle of the night. I have the hardest time getting the bile out of the carpet. So I took the Fizzion, made it up and started hitting up all the old spots around the house. I filled the container up most of the way, and then dropped in the the tablet of concentrated cleaner. My kids thought it was the coolest thing in the world to watch. After about 8 minutes (this is a rough estimate, I was doing other cleaning in my house while it was dissolving). I made sure that my floor was nice and vacuumed before I started, and just went around and barely saturated every spot I could find. I did old vomit spots. There were a couple grape juice spots from my kids sippy cups leaking (of course on beige carpet). 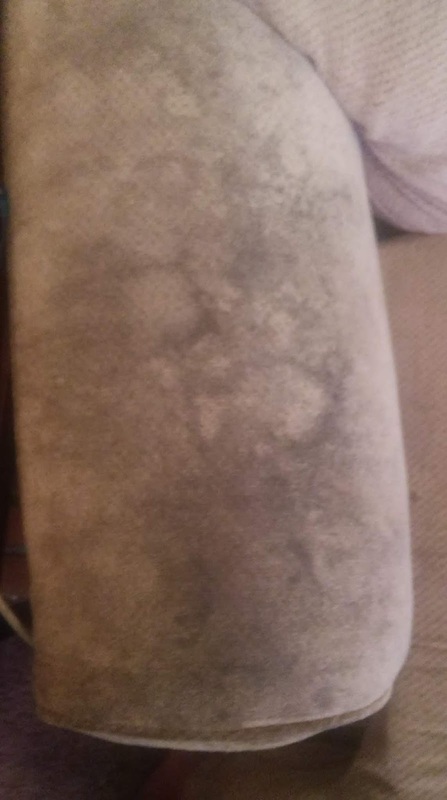 I even did the arm rest on my husbands spot on the couch, which I have attempted to clean with 15 different cleaners, including the carpet cleaner. After I sprayed, I didn't even wait long and I took a clean hand towel and blotted away. The stains were magically lifting up. I also need to talk about the scent. This smells like clean laundry! I then started using it on my couch which has a lovely dog scent in one cushion where my Saint Bermastiff has decided to make it his own special spot. He is always on that spot. I spritzed the entire couch down and let it dry. I didn't think the scent would stay, but it really did. My house smelled like I had just finished laundry. I love this cleaner so much. And it works so well, with minimal work. Another thing I really love about Fizzion, is that you can just by tablets to use to refill the bottle, leaving a lot less waste in our environment. And so much easier to store. This picture to the left shows after one use, and it wasn't even completely dry yet on the sides. Super impressive compared to the picture above! If you would like to find out more about Fizzion, and all of their great products please click here.